I have 4 email addresses that I monitor, Facebook for my business page, IBO, a couple of affiliate pages and then depending on what I am doing another three or 4 tabs may be open. 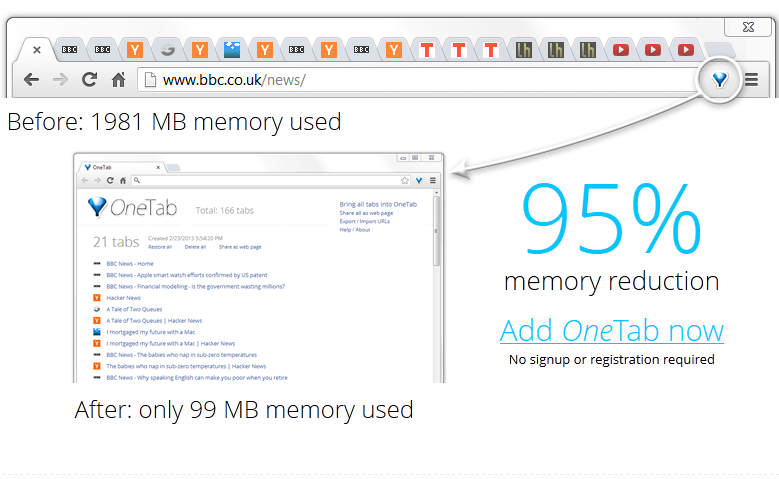 “One Tab” helps me reduce that clutter. I have been using the Tab for about 6 months and if your PC is starting to slow down, this may help speed it up. I have a new one now, but I still use my old one for certain projects and this tab is a tremendous help in eliminating the clutter of tabs.